We were super excited for our second day at Disneyland, because we were going to Goofy's Kitchen for breakfast. This is one of my favorite places in Disneyland, because my dad used to bring me here all the time as a kid. I always hated the characters, but my girls adore them, which makes the occasion extra special. On our way to breakfast, we passed the Lego store in Downtown Disney. They had Buzz and Woody, and a Beauty and the Beast set up made completely out of Legos. So cool! We made our way to breakfast, and the girls were so excited to be greeted by Chef Goofy. While we were eating, we also saw Baloo, Dale, Princess Jasmine, and Pluto came by one more time to get a picture now that Char had warmed up to him. 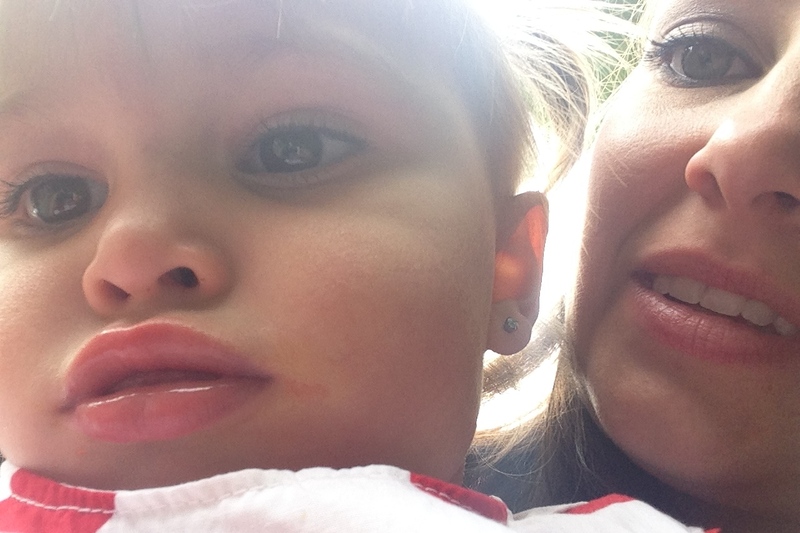 After breakfast, we waited in line for the Monorail to take us to Disneyland and took some selfies to pass the time. 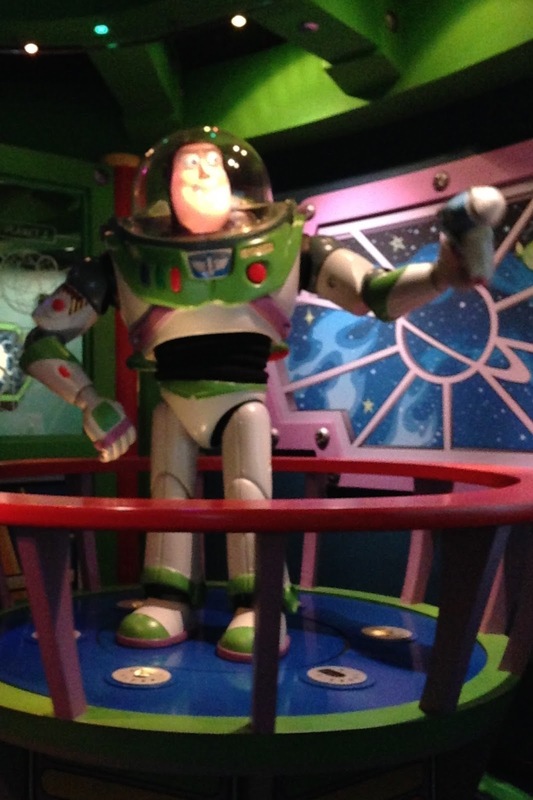 Once we made it into the park, we hopped on the Buzz Lightyear ride again, since there was no line at all. Our next stop was Pixie Hollow to meet Tinkerbell and Iridessa. We spotted some baby ducks while we were waiting, and Charley loved them. Pixie Hollow was awesome. They had tiny little fairy houses, and the girls loved playing inside. When they met Tinkerbell, Gracie talked her ear off, while Charley kept touching her shoes. It was so sweet! Next up was the teacups. Daddy spun it really fast, which the girls absolutely loved. Daddy kept telling us we had to go to Tom Sawyer's Island, so we decided to head over there. On the way we spotted Olaf. After discovering that Princess Elsa and Princess Anna were inside, the girls obviously wanted to meet them. When we heard that the line was three-and-a-half hours long, we decided to come back the next day when we could use our Magic Morning early entry (where you get to enter the park an hour before it actually opens). We had to pass through the castle and saw some baby geese on our way. Finally, we made it to Daddy's favorite spot. We walked over scary bridges, and slipped through some pretty creepy caves. At one point, a skeleton jumped out and scared us, causing Grace to cry, "this is not a fun adventure!" We were cracking up! Grace was over the moon when we left the island and stopped for an ice cream break. I don't think she enjoyed the caves like Daddy and Charley did. Since we were near the Haunted Mansion (and my trustee iPhone app said there was only a ten minute wait), we decided to try that next. Grace was not a fan, while Char pointed out all the ghosts and loved to see them dancing. Charley fell asleep after that one, and Isaac and I decided that we were good to go without a nap that day. We went to the River Belle Terrace (one of Walt Disney's favorite breakfast spots) for lunch. Gracie was in heaven when she found out that they had Uncrustables. I had the Tennessee Pulled Pork sandwich with cole slaw, and it was amazing. 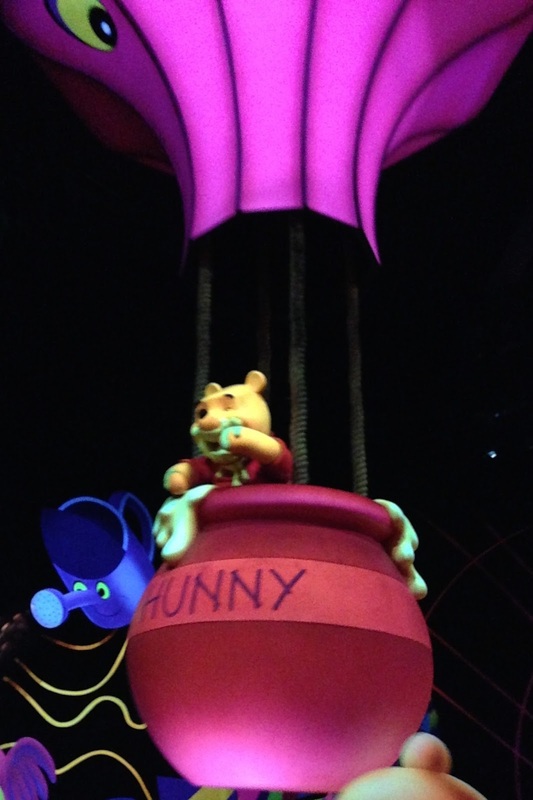 After we refueled, Char was up and ready to go, so we headed over to Winnie the Pooh. The girls loved the ride, and in true Charley fashion, she cried when we had to get off. Luckily, Tigger was waiting around the corner. While we waited to meet him, Eeyore and Pooh walked up, as well. We got to see all three of them. Gracie loved Eeyore, because "he's so fuzzy! ", while Charley fell in love with "da Pooh". Of course, Daddy had to buy them each one of their favorite stuffed animals in the Pooh store next door. They were having so much fun, and I noticed on my phone that Jessie was in Frontierland, which just happened to be where we were. We couldn't find her, but ended up spotting her standing by herself next to the BBQ joint. Perfect timing! Charley loves Toy Story, and she didn't want to leave. 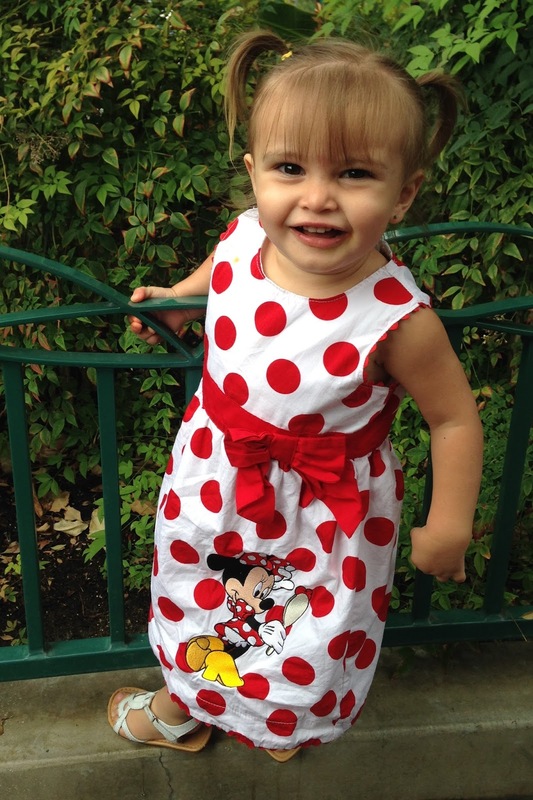 Next, we made our way to Toon Town to meet Minnie Mouse. 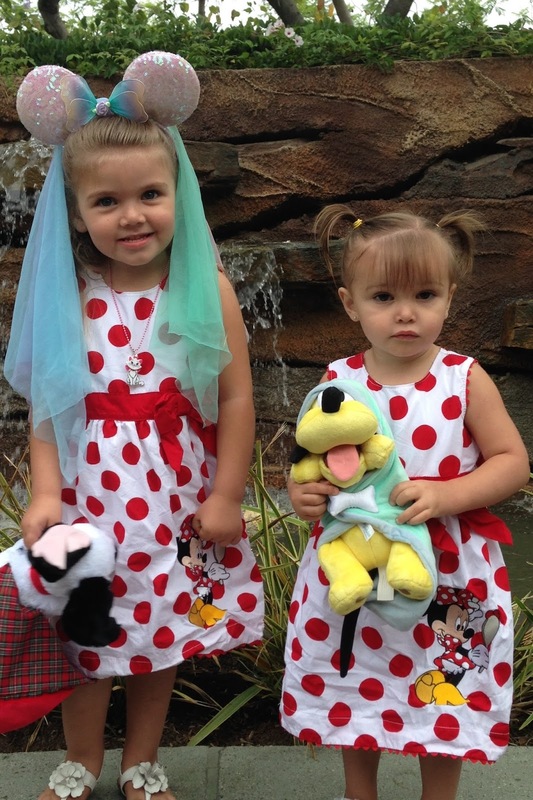 We had to get a picture of the girls with her in their sweet Minnie Mouse dresses that Auntie Elisha got them. 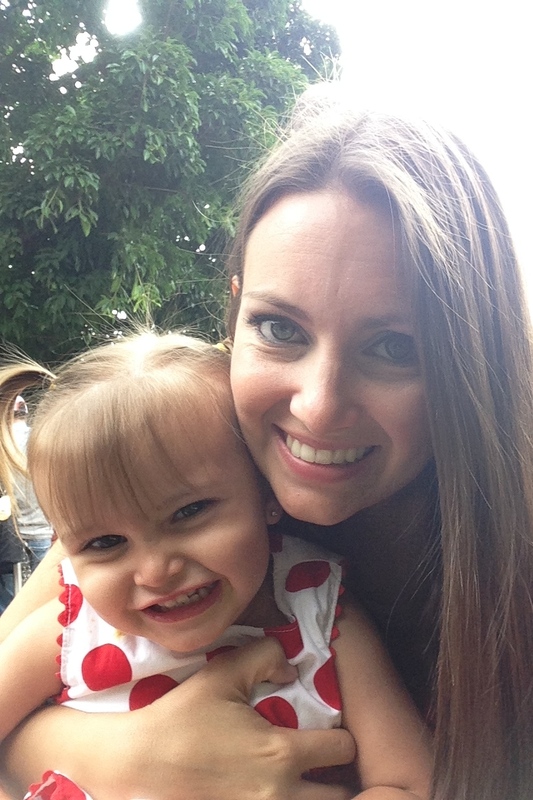 They had fun checking out her house, and Charley was in awe when she got to meet Minnie. We checked out Mickey and Goofy's houses, and let the girls run free to explore Toon Town for a little while. They loved driving in all the characters' cars and running around. After Toon Town, we went to meet Merida from Brave. This was both of the girls' favorite movie at one point, and they were so excited. They danced all over the place while we waited for our turn. It was starting to get a little hot, so we went to watch the Tangled play in the shade. Grace made a little friend that was exactly two weeks younger than her, and also happened to be named Grace. 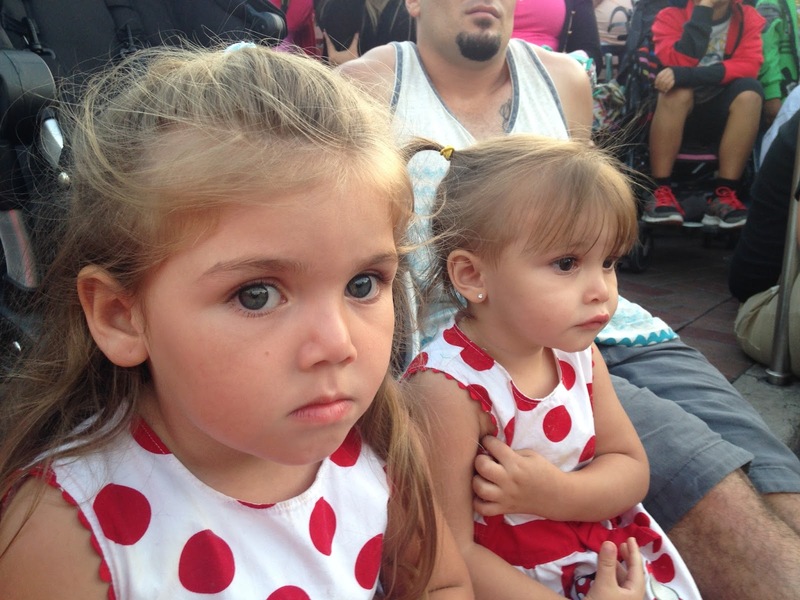 They sat together in front of the stage and had a blast watching Rapunzel dance and sing. As soon as the play was over, the Royal Hall opened back up, so we went there to meet more princesses. Char made a little friend while we stood in line. Once we got inside, she was amazed by each princess. She would touch their necklaces and earrings, and they all thought it was the cutest thing. Mickey's Soundsational Parade was starting soon, so we went to grab a good seat. 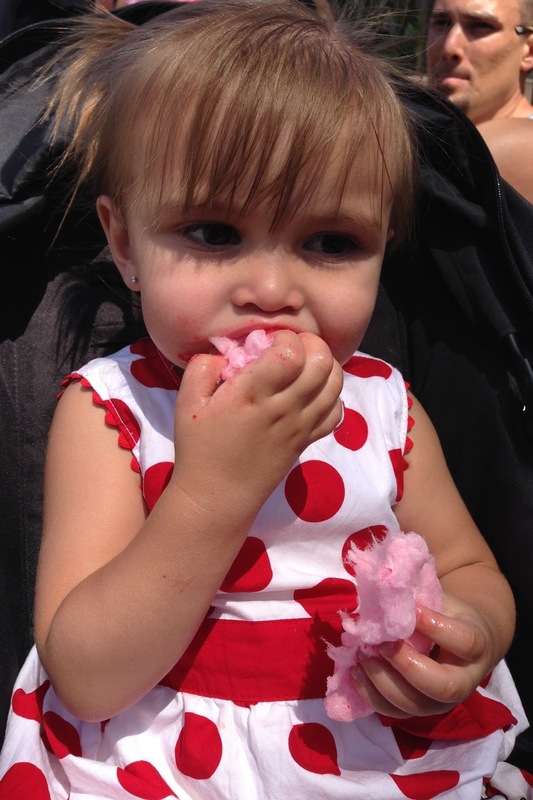 Daddy got Char some cotton candy to snack on, and I think it may be her new favorite snack. 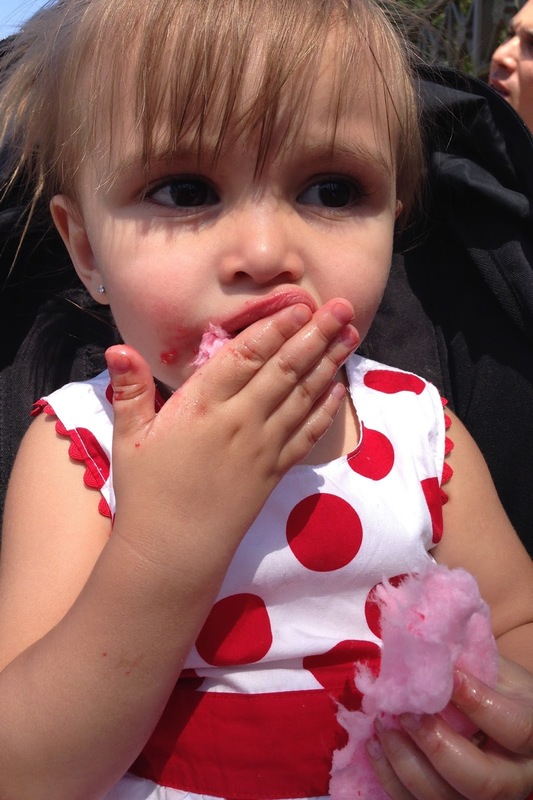 She kept asking for more every time we passed a vendor with cotton candy the entire rest of the trip. The girls had fun running around playing while we waited for the parade to start. It got a little chilly when the sun started going down, so they put on their Monster's Inc. sweatshirts that we bought them the night before. They were seriously so adorable in their Mike Wazowski and Sully hoodies - little monsters. Soon, it was ready to begin. Charley was so funny, because she wasn't sure what to expect. She's usually so silly, so it was weird to see her so still and calm. She loved pointing out each character to Daddy as they passed us. Gracie waved to them all, and had the biggest smile on her face. It was so awesome to see them so happy! 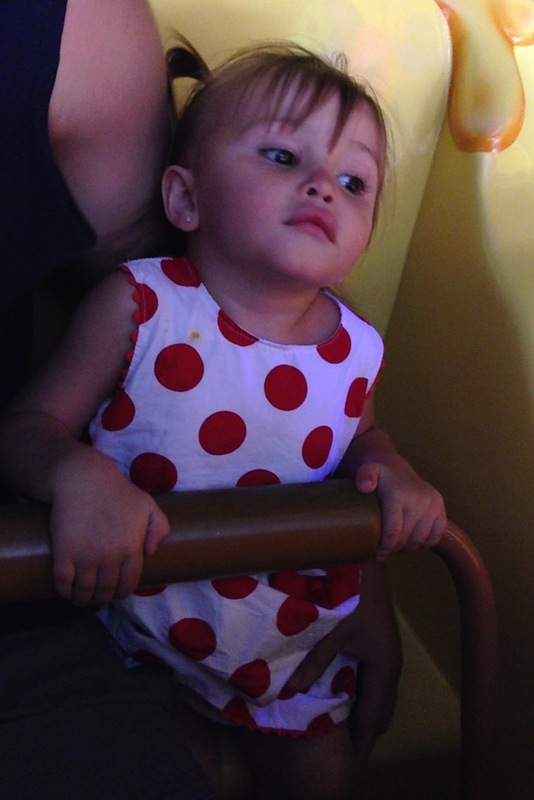 After the parade, Gracie wanted to ride the teacups again. Since there was hardly a wait at Mickey's house, we headed back there to get his autograph. Charley was getting a little tired and wasn't super into the characters at that point. They had some more fun checking out Toon Town, since it wasn't busy this late on a Monday. Gracie passed out in the stroller, so we knew it was time to head back to the hotel. We made one last stop at a corn dog stand, and Charley chowed down while we walked back. Our second day in Disneyland was just as successful as the first day. We had so much fun spending this special time with our girls.